Dua Lipa Joins Jaguar: Jaguar has announced a ground-breaking collaboration with one of the world’s highest-profile singer-songwriters, Dua Lipa, to launch an innovative, integrated brand-building programme across Europe. 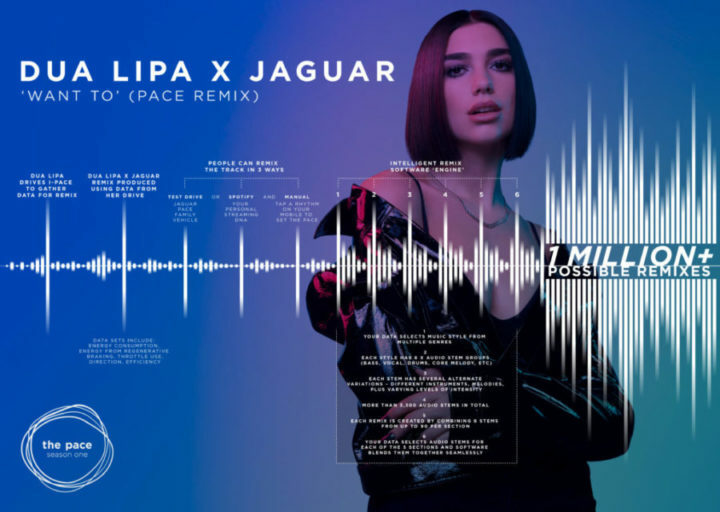 Over 3,500 audio stems were created through this process and these are the ingredients for every remix, ready to be arranged by data from the car or – if you don’t have an I-Pace – your Spotify streaming history or a pace set by the user on a mobile app. 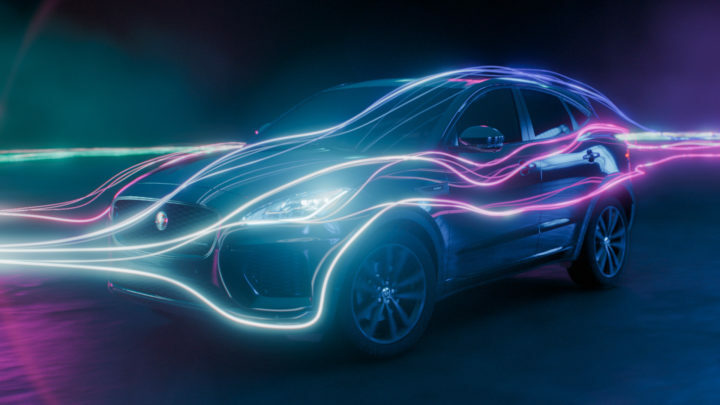 This collaboration between music and technology is the latest example of Jaguar creating a more connected experience between a driver and their car. In-car Jaguar technology such as InControl and Smart Settings monitors the driver’s style and preferences and adjusts the settings to improve their experience. From the web-based app, there is the option for Spotify users to remix the track using streaming history data: the music styles you most often listen to, the average tempo of those songs. This information along with a ‘tapping’ interaction on the user’s phone is used to rearrange and remix the Dua Lipa song, to personalise it for every user. Those without a Spotify account can also create a remix in the app by tapping their mobile to ‘set the pace’ of a new version of the song. The next phase of the programme, The Pace: Season Two, will follow in Summer 2019. Further details will become available closer to launch.